4WD.Odometer is 18819 miles below market average! 2011 Jeep Liberty 4-Speed Automatic VLP PowerTech 3.7L V6 4WDAt CJDR 24, we've been the South Shore's premier Chrysler, Jeep, Dodge, and Ram dealership for well over four decades. We have a single, driving goal here, and that's to provide the absolute best South Shore auto sales and service experience possible with zero stress and absolute satisfaction.Customer First Award for Excellence CJDR 24 is committed to offering our Brockton customers with the highest level of customer service, which is why we are thrilled to be a honored recipient of the FCA Customer First Award for Excellence. This prestigious award is designated for only those dealerships exemplifying extraordinary care and dedication to their customers, in five key areas of performance: Give us the opportunity to show you. Call or visit us today. Low Miles, Clean Carfax, ABS brakes, Electronic Stability Control, Front dual zone A/C, Heated door mirrors, Illuminated entry, Low tire pressure warning, Passenger door bin, Remote keyless entry, Traction control.Clean CARFAX. Odometer is 38153 miles below market average! 2012 Dodge Journey 4-Speed Automatic VLP 2.4L I4 DOHC 16V VVT FWDAt CJDR 24, we've been the South Shore's premier Chrysler, Jeep, Dodge, and Ram dealership for well over four decades. We have a single, driving goal here, and that's to provide the absolute best South Shore auto sales and service experience possible with zero stress and absolute satisfaction.19/26 City/Highway MPGCustomer First Award for Excellence CJDR 24 is committed to offering our Brockton customers with the highest level of customer service, which is why we are thrilled to be a honored recipient of the FCA Customer First Award for Excellence. This prestigious award is designated for only those dealerships exemplifying extraordinary care and dedication to their customers, in five key areas of performance: Give us the opportunity to show you. Call or visit us today. 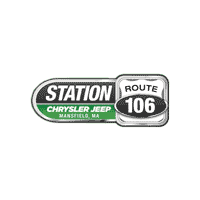 When you’re looking for a used car in the Mansfield, Attleboro, and Norton areas, Station Chrysler Jeep is your best bet if you want quality you can count on. Our mission has been to provide our community with the top-quality used cars they deserve. You’ve already gotten a taste of our inventory, but there’s so much more we can offer. When you use our advanced search, you should have no problem finding the ideal vehicle that best suits your needs. We like to keep many different makes and models available to ensure we have something for everyone. Check out our inventory for yourself and learn more about what we can offer you. If you’re looking for a used Chrysler or Jeep vehicle, you’ve come to the right place, but that’s just the beginning of what we have on offer. 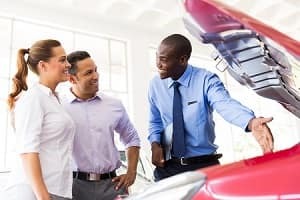 You’ll find a wide variety of different makes and models available, including options from pre-owned Nissan models, pre-owned Mercedes and Hyundai, used Toyotas, used Hondas, and more. Whether you’re looking for simple pre-owned vehicles or stunning certified models, you can always expect reliability above all else. Also, make sure to check out our used car specials! With these incredible deals, you can save even more than before. When you opt for one of our certified pre-owned vehicles, you’re in for plenty of additional benefits. These incredible vehicles have passed a rigorous 125-point inspection to ensure it not only measures up to reasonable standards but exceeds them. These vehicles also feature extended warranties, a CARFAX® Vehicle History Report, and roadside coverage. You even get a car rental allowance if you ever need to take your vehicle in for overnight repairs. For all your used car needs, continue browsing our inventory online. When you’re ready to take the next step in your car buying journey, visit our finance department or contact our team online for more information. We look forward to helping you find your next car!